Cucumber plants (Cucumis sativus) require fertile soils and are considered heavy feeders. When they aren't fed enough nitrogen or potassium the vines and foliage will become yellow. There are a wide variety of cucumber plants, from bush-style plants to vining plants. Cucumber plants will grow within U.S. Department of Agriculture hardiness zones 2 through 11. How well they grow is dependent on the amount and quality of nutrients they receive. Most nutrients should be placed in the soil prior to planting the crop. Nitrogen is one of the nutrients essential to plant growth. Because nitrogen encourages foliage growth, and not fruit growth, high amounts of nitrogen are not necessary to grow plentiful cucumber fruits. However, leaves will turn yellow when nitrogen levels dip low. If your plant is still producing healthy quantities of fruit, then you may not want to increase the amount of nitrogen in the soil as this can encourage vine growth at the expense of fruit growth. 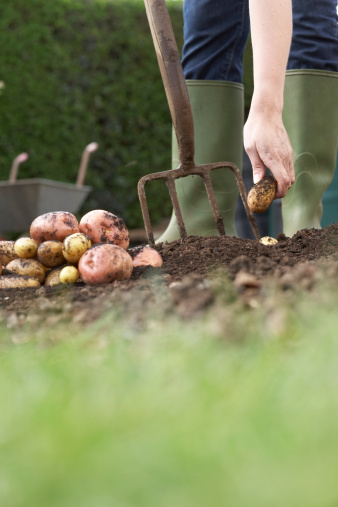 If you choose to amend your soil with nitrogen, then apply a side-dressing; apply the fertilizer between rows or mounds rather than directly at the plant's roots. The recommended side-dressing is a 33-0-0 ammonium nitrate fertilizer. This should be applied at a "rate of 1 tablespoon per hill 1 week after blossoming begins," according to the Purdue University Cooperative Extension Service. A second application should be made within three weeks of the first. If leaves are a deep yellow, or bronze, this indicates a phosphorous deficiency. This kind of deficiency can prevent fruit production. 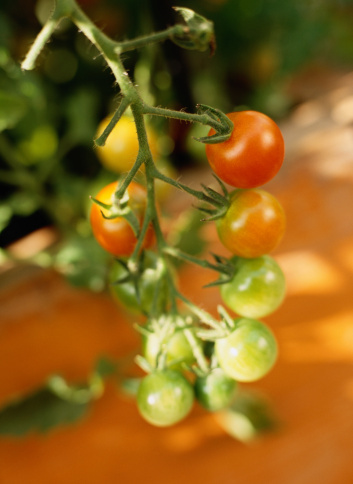 The best way to ensure that this kind of deficiency doesn't occur is to amend garden soil with compost, well-rotted manure or a cover crop before planting. You can also amend soil prior to planting by using a 4-8-5 or 6-6-10 complete fertilizer. These kinds of fertilizers are easily found at hardware stores and garden centers. Before planting your cucumbers, apply 1 to 2 tablespoons of fertilizer per mound.